A MOST ATTRACTIVE 5/6 BED MID TERRACE HOUSE SITUATED IN THIS MATURE AND POPULAR RESIDENTIAL LOCATION. THE PROPERTY HAS BEEN CONVERTED AND IS CURRENTLY LAID OUT AS TWO SEPARATE UNITS AND WHILST GENERALLY IN GOOD CONDITION IT IS IN NEED OF SOME UPGRADING AND RE-DECORATION THROUGHOUT. 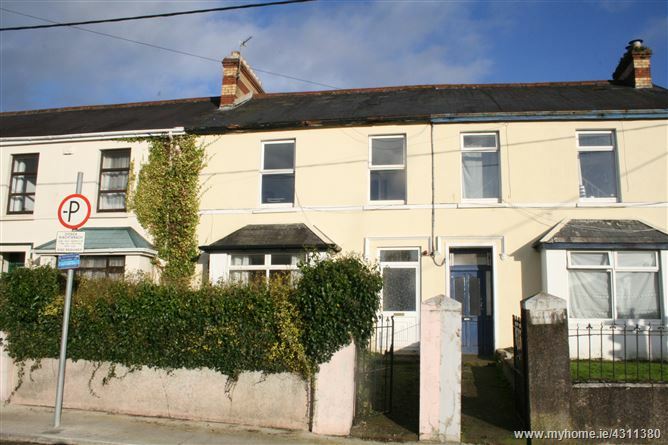 THE PROPERTY IS ADJACENT TO UCC AND THE BONS SECOURS HOSPITAL AND ALL OTHER LOCAL AMENITIES IN THE AREA TO INCLUDE LOCAL SCHOOLS, PUBS, RESTAURANTS AND SPORTS FACILITIES. Laminate Wood Floor, Carpet, Storage Heater, Power Points. Laminate Wood Floor, Feature Fireplace, Bay Window, Power Points. Laminate Wood Floor, Built in Wardrobe, Power Points. Washing Machine / Dryer, Power Points. Ceramic Tiled Floor & Walls, Shower Unit, W.C., W.H.B.